The votes are in! HedgeCoVest is the winner of the Overall category at the 2015 Benzinga Fintech Awards. HedgeCoVest earned its first-place award at the Benzinga Fintech Awards Gala Event held earlier this month in New York City. The company picked up 5 million ad impressions and a one-year license to the Benzinga Pro Real-Time News & Data feed. Second- and third-place prizes were also awarded. In attendance at the event were more than 50 CEOs, more than 100 fintech companies, about 20 venture capital firms, 10 major U.S. retail brokerages, and four fintech accelerators, as well as a host of press and media. HedgeCoVest also performed well in individual categories, winning the Alternative Investment category, and earning runner-up recognition in the Most Disruptive category. Finovate alums taking home individual awards are listed below. See a full list of all winners, runners-up, and finalists. 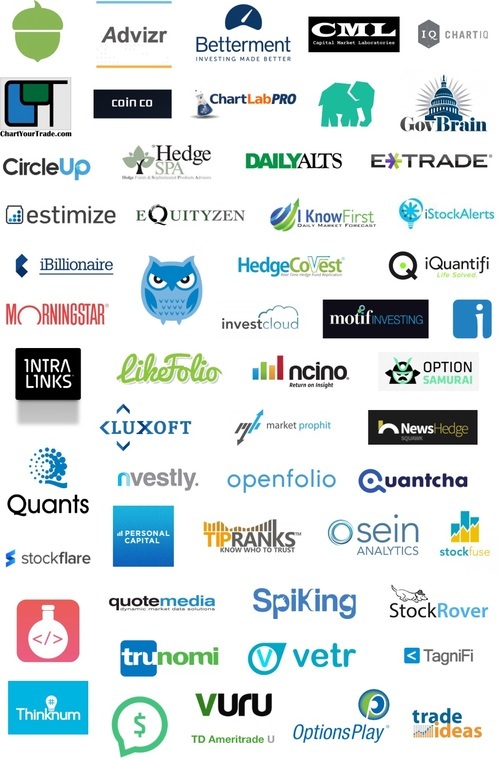 On April 8th, the Finovate blog might be the second best place to find Finovate alumni. 5 million for first, 1.5 milion for second, and 1 million for third. 1-year for first place, 6-months for second, and 1-month for third. The initial 115 companies were chosen by Benzinga readers. Making the final vote for top three will be event judges Steve Ehrlich, CEO of Honos Financial; Ron Insana, senior analyst, CNBC; Andrew Ackerman, managing director, Dreamit; Charlie Kroll, former CEO and founder of Andera; and Josh Brown, CEO of Ritholtz Wealth Management. Below are the finalist categories, as well as the Finovate alums in each. Your Personal Financial Mentor profiles EZBOB. BrightScope releases AdviceMatch, a free online service to help consumer choose financial advisors. OnDeck Marketplace emerges from pilot program. Platform helps institutional investors buy small business loans. Venture Burn takes a look at Azimo and the West African remittance market. Kreditech named Germany’s leading digital innovator of the year by Focus Magazine. Arroweye Solutions CEO Render Dahiya urges issuers on EMV adoption. Check out FinovateEurope 2015 Sneak Peek: Part 3. Coinbase Raises $75 Million from BBVA, USAA, NYSE, & Others. Millennial-focused BankMobile app is powered by Malauzai Software and uses Mitek to power mobile customer on-boarding. Roostify describes its experience with Yodlee’s FinDat Disruptor program. PayPal to use InComm to support PayPal’s digital gifts services in Canada. Yale Undergraduate selects Wall Street Survivor to help students understand investing and personal finance. Technical.ly/ Baltimore looks at how TIO Networks powers Baltimore’s online bill pay system. Tradeshift wins Circular Economy Digital Disruptor Award held at the World Economic Forum in Davos, Switzerland. CustomerXPs and EY, a tax advisory firm, partner to help companies deal with fraud. 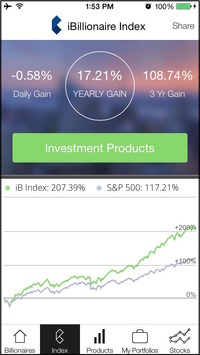 iBillionaire updates mobile app & releases new High Dividend Index. Payment Data Systems to acquire Akimbo for $3 million. Be sure to check out FinovateEurope Sneak Peek #2 featuring AlphaPoint, Avoka, Encap Security, investUP, Nostrum Group, and StreetShares. True Link Raises $3 Million in Round Led by Cambia Health Solutions. This post will be updated throughout the day as news and developments emerge. You can also follow all the alumni news headlines on the Finovate Twitter account. The Finovate Debuts series introduces new Finovate alums. Today’s feature is iBillionaire, which demonstrated its iBillionaire Index at FinovateFall 2014.
iBillionaire’s free mobile app gives investors insight into how the world’s top-performing billionaires, such as Warren Buffet, Carl Icahn, and George Soros, invest. The clean user interface makes it easy to gather information on the billionaires’ trades and investments. Additionally, the iBillionaire Index, an exchange-traded fund (ETF), is an option for those looking for an alternative to the S&P 500.
iBillionaire identifies the top 10 performing billionaire investors and translates their public SEC trade filings onto a clean user interface, identifying their top performing stocks. The Index is a compilation of 30 company stocks where billionaire investors have allocated the most assets. When back-tested 5 years, the iBillionaire Index returns were almost double those of the S&P 500 (see right). Browse the billionaires’ assets under management, performance, and trading activity, as well as timely news related to their investments. iBillionaire has partnered with Direxion Investments, a top ETF sponsor in the U.S., and is looking to partner with financial institutions and brokers to grow internationally. Additionally, it is redesigning the mobile app and is working on tools to help users build their own investment strategies, as well. The New York-based company showcased at FinovateFall 2014. Check out the live demo video here. This post is part of our live coverage of FinovateFall 2014. “The iBillionaire app was born out of a mission to democratize Wall Street by providing users access to the investment strategies and financial data of those who have, historically, played the market best: billionaires. iBillionaire provides access to billionaire investment portfolios, strategies, and stock picks and is a source of unique and exclusive data on trading activity and investment trends. 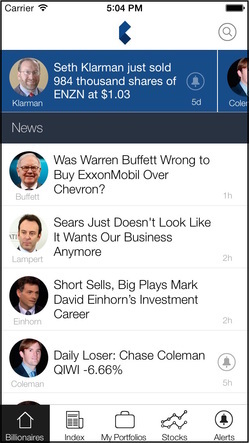 It sends real-time alerts of buys, sells, and prices and is a source of up-to-the-moment billionaire news. Metrics: With a mobile community of over 150,000 investors, offices in Buenos Aires and New York, and covered by media outlets like Bloomberg, CNBC, and Fox Business, the iBillionaire Index has outperformed the S&P 500 since inception. If you missed the first installment of our FinovateFall 2014 Sneak Peek series, click here for Part 1. A few days ago we introduced you to BizEquity, Gremln, Hoyos Labs, Knox Payments, NopSec, and Rippleshot. Today we present another six companies that will be demoing on stage in New York in September. FinovateFall 2014 is live in New York City on September 23 and 24. And with last year’s show a sell-out, we’re expecting even bigger things in 2014. So save your spot at this year’s show; click here to register today. Backbase is a software company helping banks in the digital era. Backbase Engage helps banks regain control over their digital strategy. Before joining Backbase, Chapman worked as VP emerging technologies at First Trade Union Bank. Frustrated by the lack of control of the banks to own their digital future, he joined Backbase to fix this. De Jong focused his career on helping companies get the most out of new technologies. He has a strong focus on startups, B2B, product management and marketing. BioCatch provides innovative online fraud-prevention solutions that dramatically reduce friction and fraud, giving customers confidence to expand their business. The Cognitive Biometrics technology enables BioCatch to detect intruders, bots, and fraudsters. BioCatch: Less friction. Less fraud. Rivner is recognized globally as an industry expert on Cybercrime and advanced threats. He is a regular speaker in the leading Security and Cyber conferences, and writes a cyber-security blog. blooom has developed a revolutionary way to open the eyes of 401(k) investors, by outsourcing the management of their 401(k) accounts, regardless of where custodied. Blooom allows investors to ditch their current strategy of ignoring-it, meaning-to-get-around-to-it, and hoping-for-the-best! Costello has 20 years experience and builds the model used to generate 401(k) recommendations, allowing blooom users to tap into advice traditionally only available to investors with a gazillion dollars. g work smoothly, helping deliver a great experience to bloom users. iBillionaire taps into the investment strategies of Wall Street billionaires and provides unique and exclusive data on investment activity and trends. 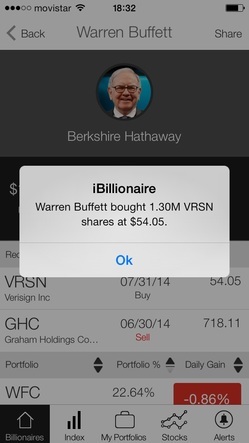 With iBillionaire, anyone can invest like a billionaire. Moreno is a serial entrepreneur with a background in finance and tech. His previous ventures include social app discovery platform, Kinetik, and he previously worked as an analyst at GFG Capital. Patch of Land is a peer real estate (P2RE) lending marketplace presenting its real-time, due-diligence engine. We are creating an efficient, scalable system for underwriting and complex real estate lending transactions and pricing risk appropriately. Fritton is a seasoned eCommerce expert who oversees the development of Patch of Land’s in-house platform and leads the research and implementation of our technology initiatives. Settle is a mobile-payment platform built to create greater customer loyalty by hastening the checkout process while improving the overall customer experience. Settle brings easy mobile payments to customers and allows merchants to make the most of customer data. Matviyenko studied in Austria, worked for the Ukranian government (banking research). Founder at Advice Wallet (the biggest mobile loyalty program in CIS countries), believes in mobile payments, geek. Polishchuk has a Masters degree in international business and is passionate about design and technology. She worked as Market Research Analyst at an international company and co-founded Advice Wallet. Our Sneak Peek series continues on Tuesday with another six companies that will demo their fintech innovations at FinovateFall 2014 next month. Want us to cover your news?